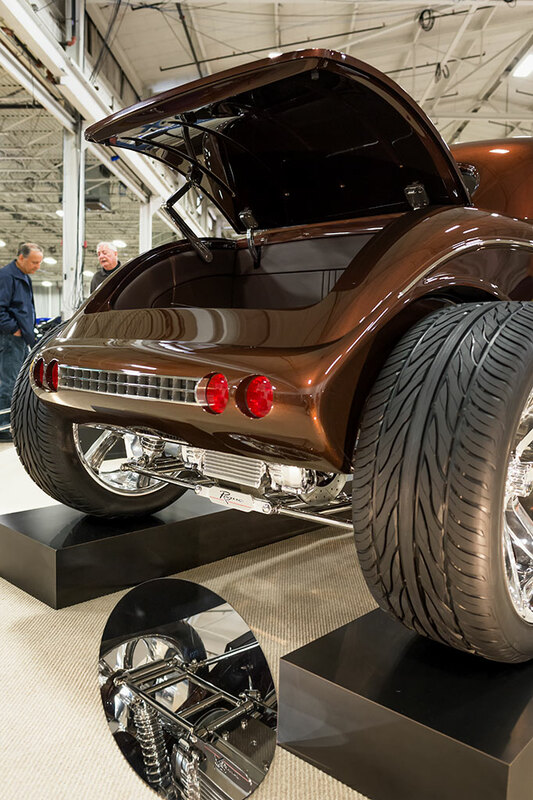 One thing that draws many fine vehicles to exhibit at the show is the $10,000 top prize. The finalists for the top prize are known as the "Elite 6". 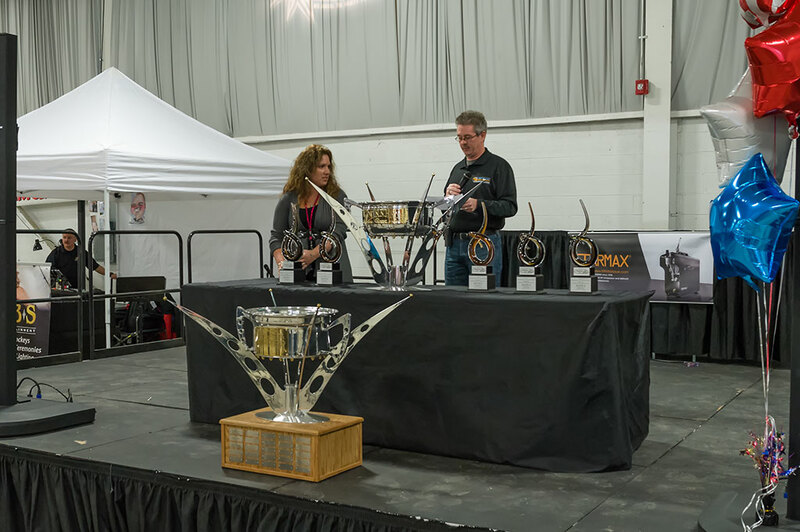 Each of the six top winners wins $2,000 while the NorthEast Cup winner takes home an additional $8,000. The Elite Six trophies aren't bad either. They are custom made glass trophies in the shape of a six. Competition is tough for the top honors though. Twenty two entrants where eligible for the award this year. My favorite of the show was also an Elite 6 winner. 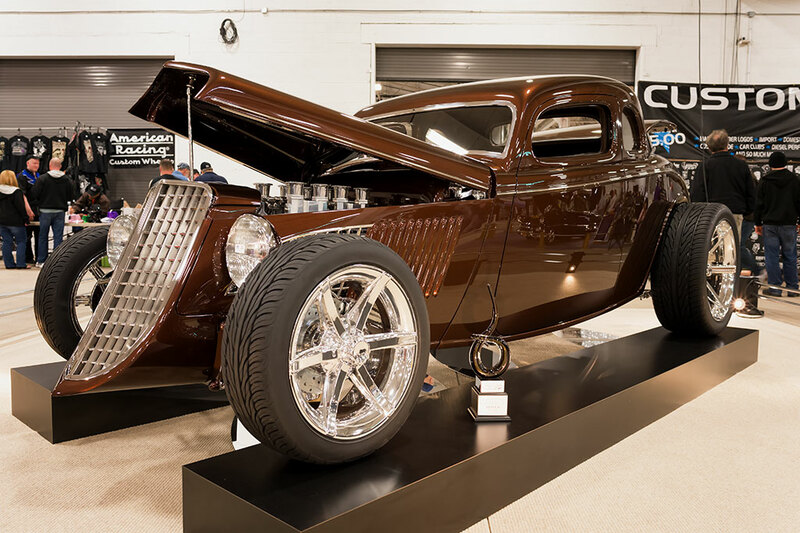 Rocky Boler's 1933 Ford Five Window is a great example of what it takes to make it to the top at the NorthEast Rod and Custom Car Show. 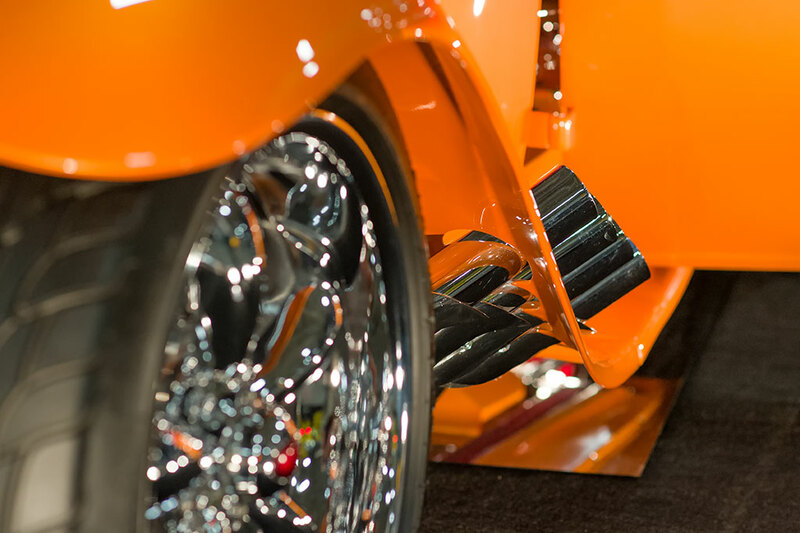 Custom items like a frenched in Ducati motorcycle gas cap, a four inch chopped roof, using a 2008 Pontiac gauge bezel in the dash, a scratch built grill shell, plus many more make this rod a beautiful ride. The NorthEast Cup winner was no less impressive. 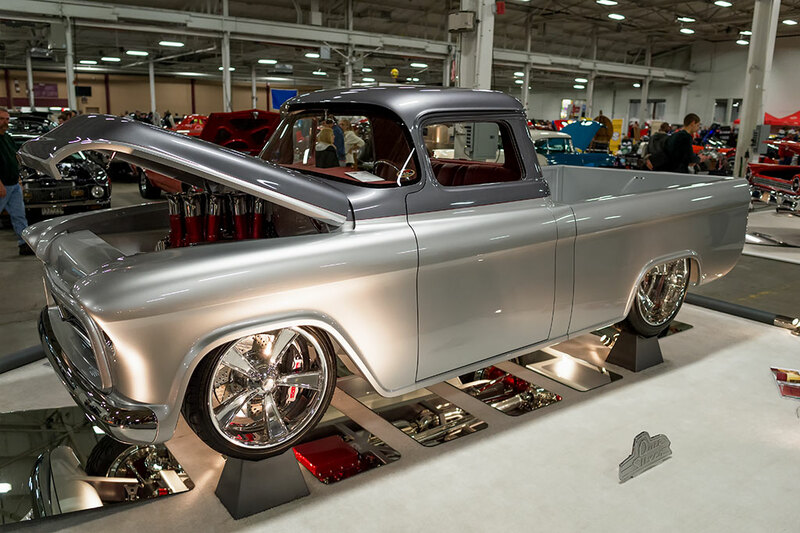 Its winner should be no surprise since Alan Beers' 1957 Chevy Truck, known as "Quik Silver", has been raking up wins such as Riddler Great 8, Goodguys 2013 LMC Truck of the Year, Chicago World of Wheels Select 6, Daryl Starbird's Fine 9, and a Top 10 at SEMA. 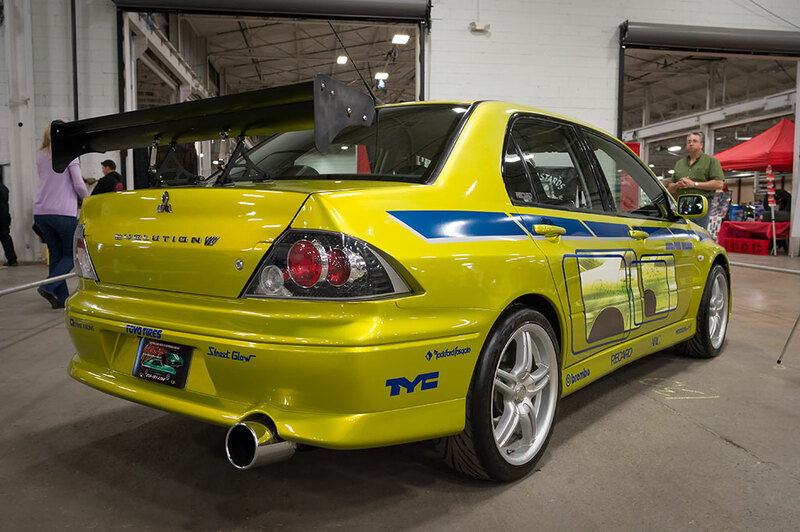 It's powered by a 650HP 540 cu. in. 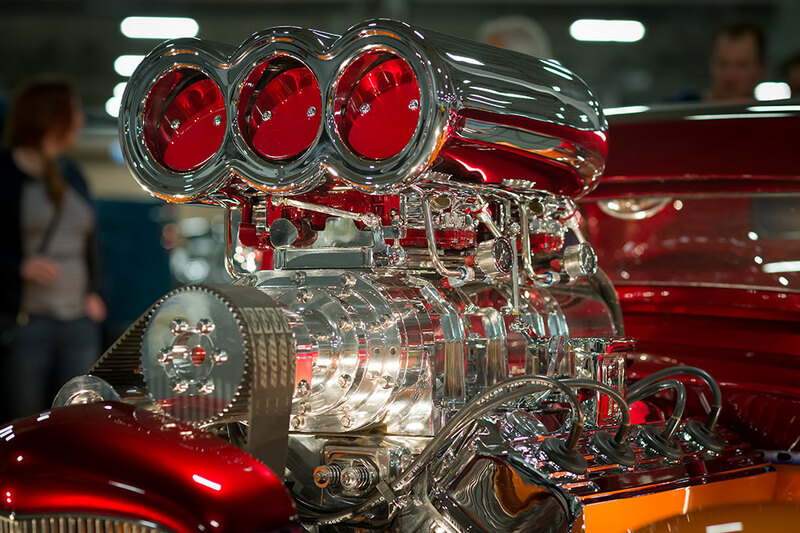 big block Chevy with a stacked Crower intake that has been converted to EFI. It gets the power to the ground through a Gearstar 4L60E Transmission and a narrowed 9" Ford running 3.70 gears. Top cars all tend to have cool names. 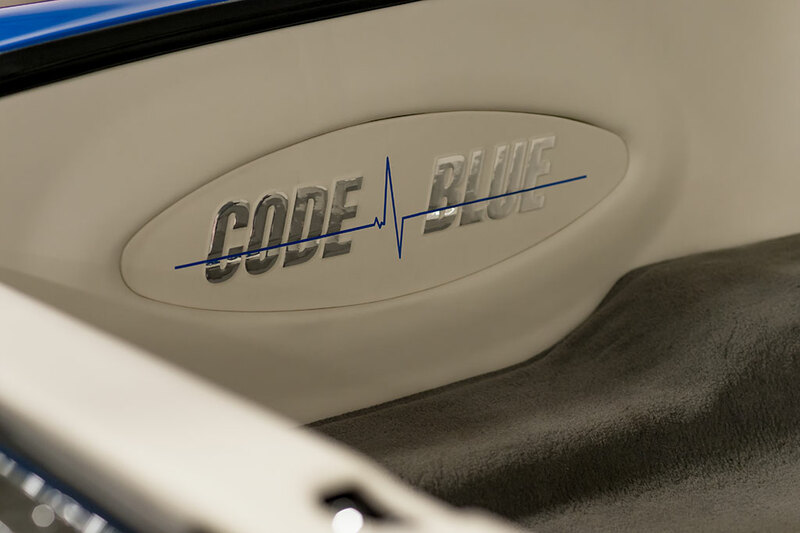 Take for instance "Code Blue". 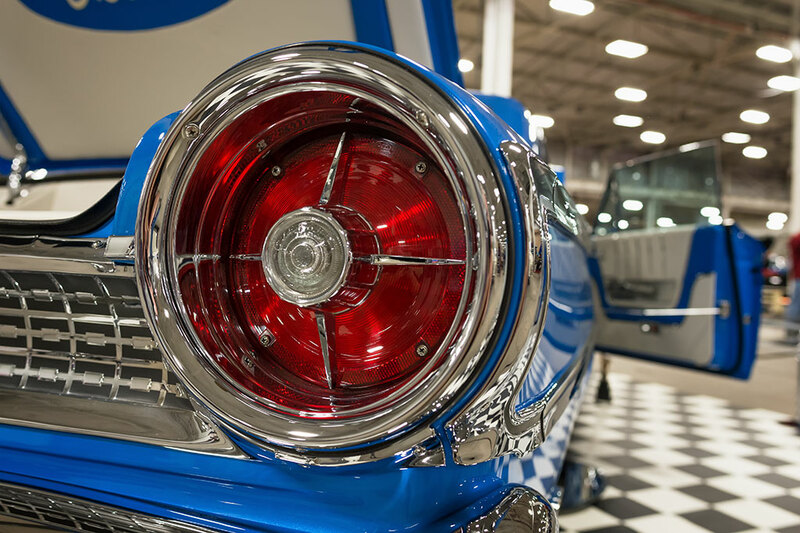 This 1963 1/2 Ford Galaxie 500 XL, owned by Kenneth Hollingsworth, was another Elite 6 winner. 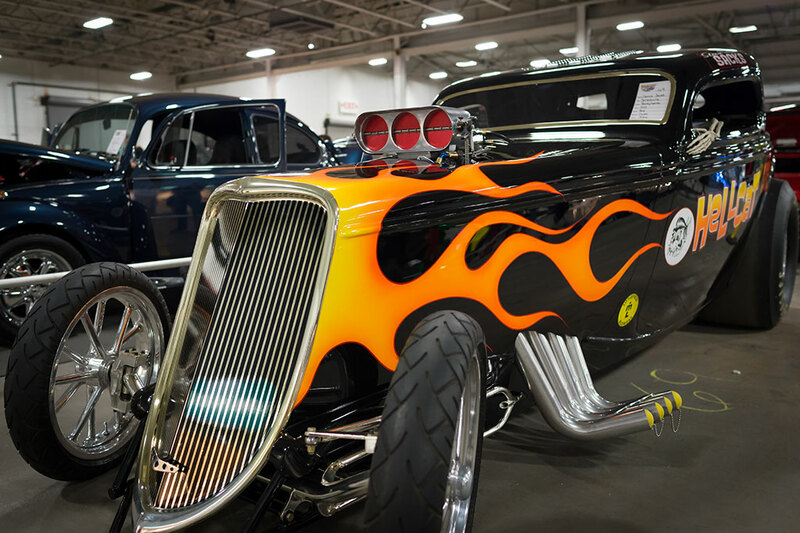 The NorthEast Rod and Custom Car Show also attracted a handful of nice motorcycles this year. 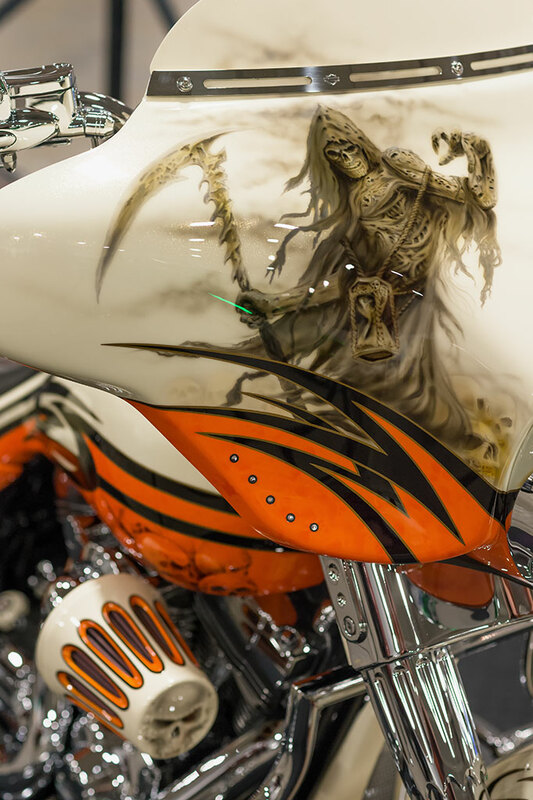 Here at Bubba's Garage we like our skulls and skeletons so Jordan Martin's 2011 Harley Davidson Street Glide really caught our eye with its fine airbrush work. 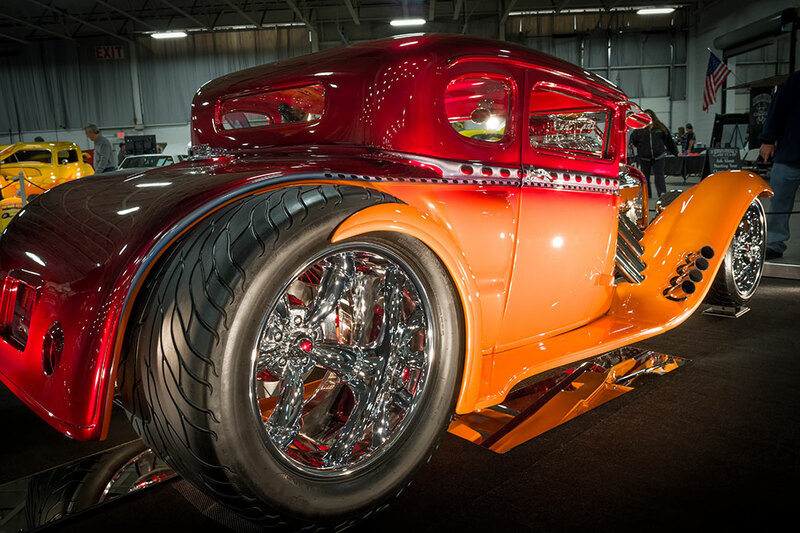 If you are looking for over-the-top craziness then look no further than the fantastic creation built be the Pro Comp Custom team. 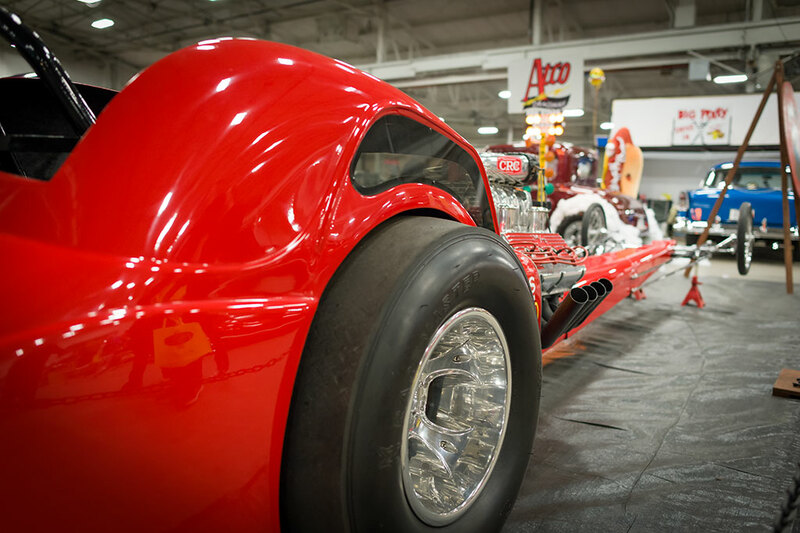 This 1930 Model A, owned by Bill Yorker, is powered by a 528 Keith Black Hemi breathing through a 1471 blower with 2 1050 Dominators. 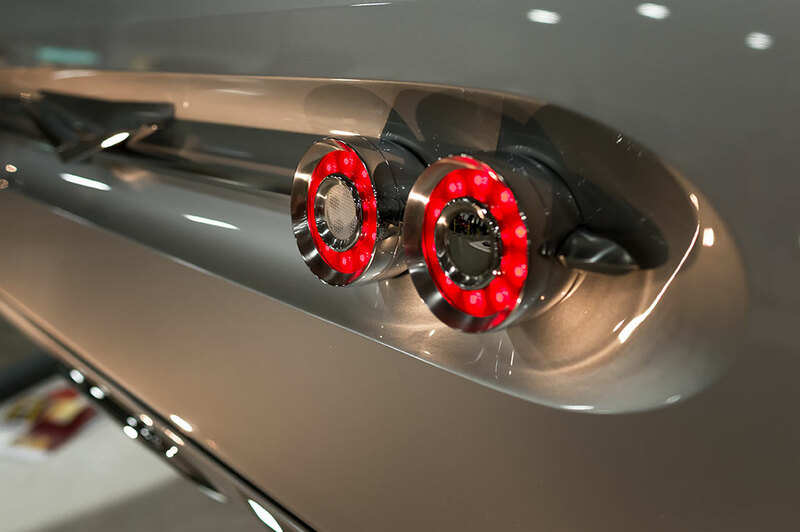 It produces over 1300 Horsepower! 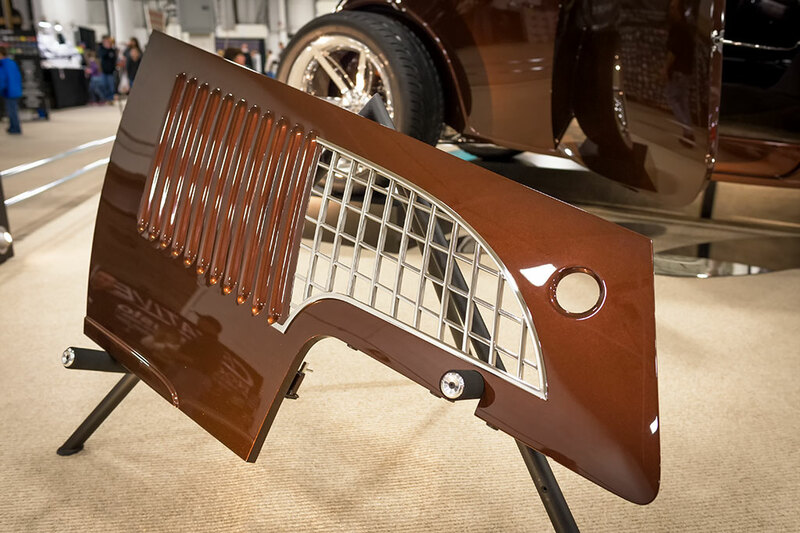 All the radical sheetmetal work is sprayed with House of Kolor Sunset Pearl and Kandy Brandywine paints. 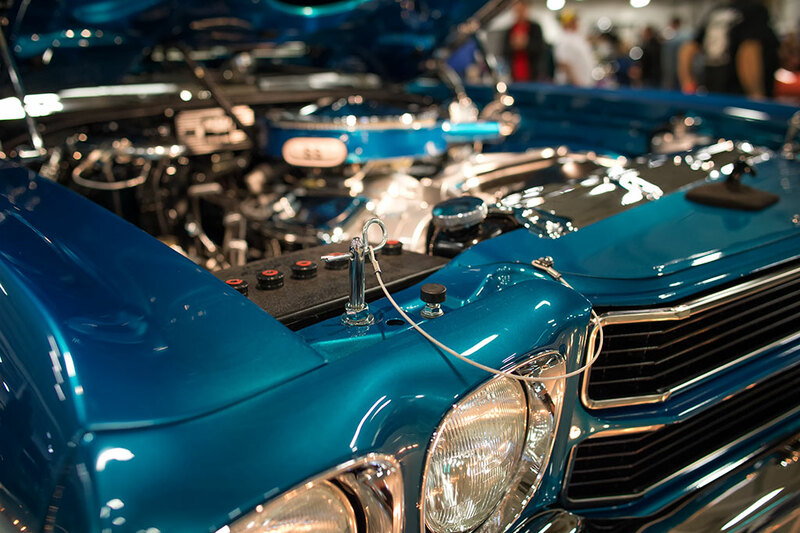 Car shows entries don't have to always be about flawless finishes. 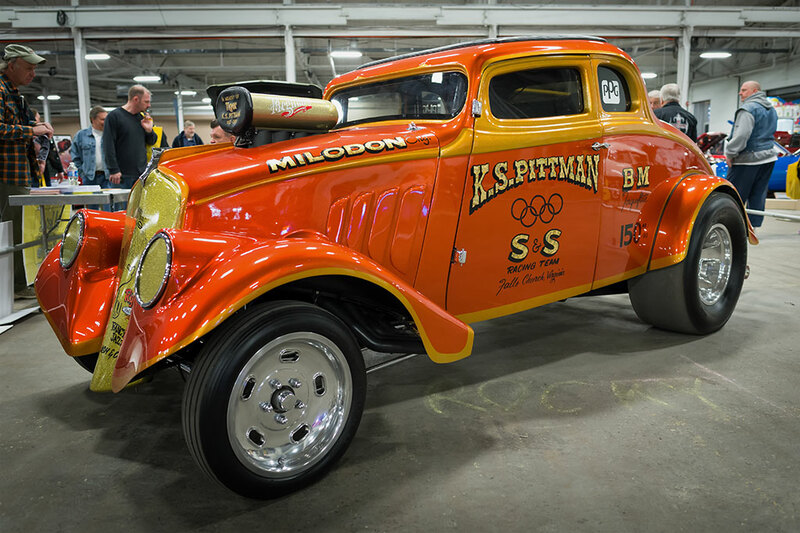 The NorthEast Car and Custom Car Show also attracts a good collection of race cars. How about a movie car for some added fun? 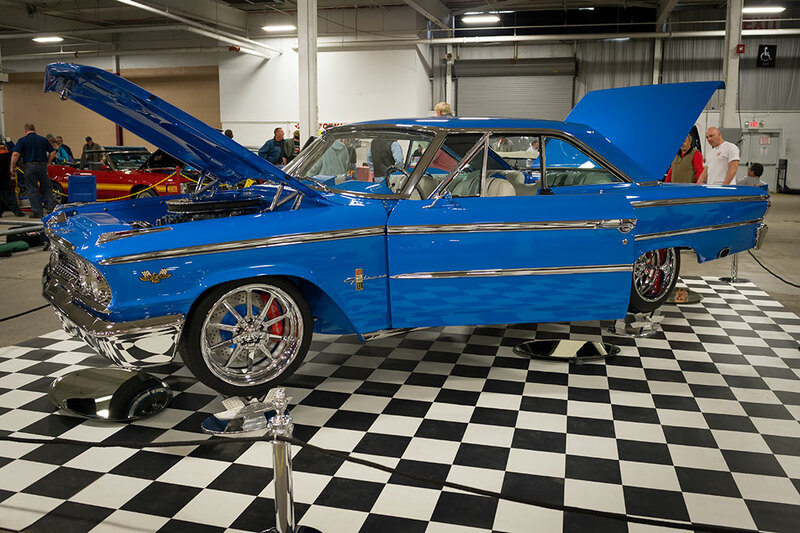 On the show floor you could find the actual exterior "hero" car driven by Paul Walker in the movie "2 Fast 2 Furious". How about some actual race action at a car show? Okay it was a scaled 1/4 mile dragstrip but it was still cool! 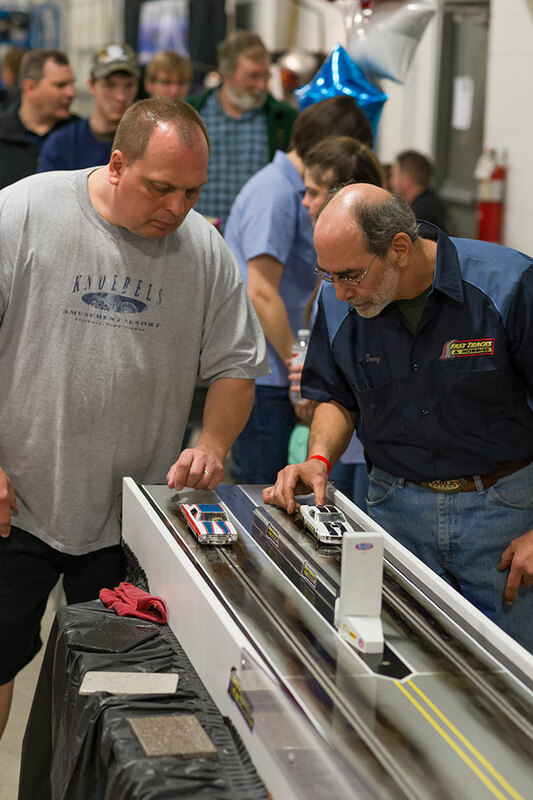 Fast Tracks & Hobbies held its Spring Nationals on Saturday. It makes me want to add one to the garage. 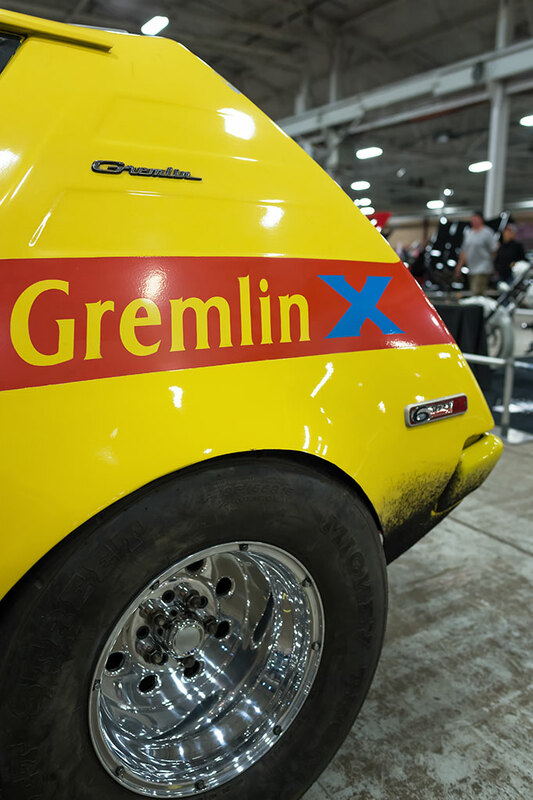 So what else can you add to a car show to make it even better? The guys and gals at Full House Motorsports, the show's promoters, upped it a notch this year by adding some top name celebrities. 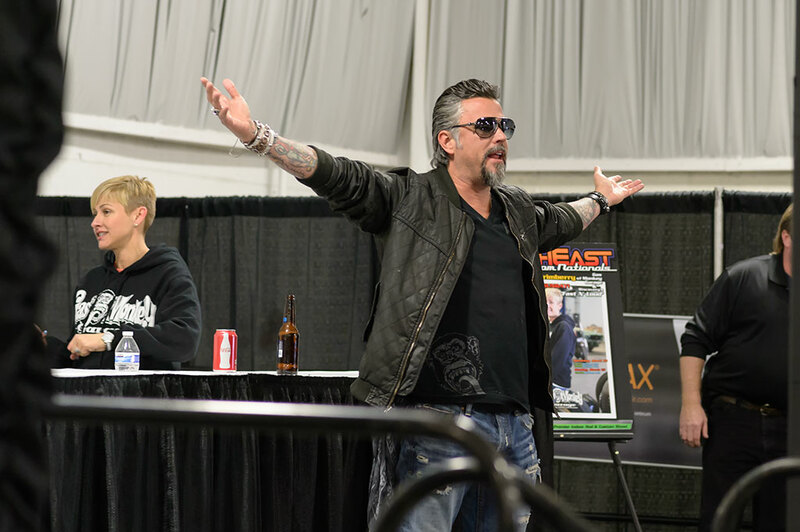 Brett "Big Schwag" Wagner from Passtime was available all weekend and the top monkey himself Richard Rawlings from Gas Monkey Garage and Fast N' Loud was signing autographs and taking pictures.